The 24-year-old suffered a double bogey on the 17th but still managed to keep her title bid intact, finishing at five-under par for the tournament ahead of the weekend. American Michelle Wie is yet to tee off on Friday. 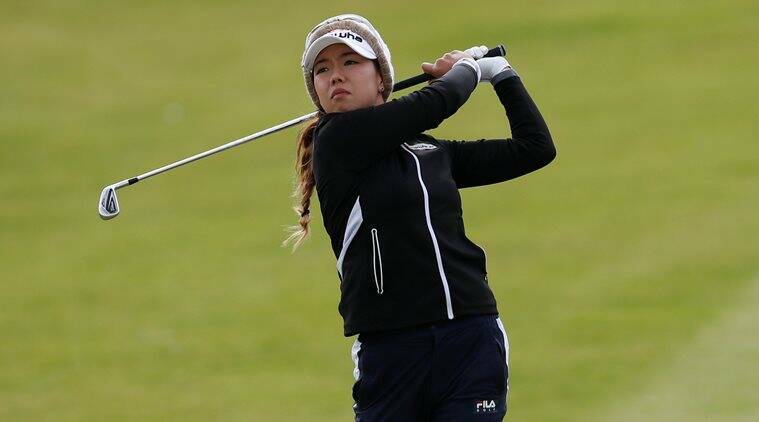 South Korea’s Jenny Shin recorded a hole-in-one on her way to a three-under par 69 in round two of the Women’s British Open at Kingsbarns Golf Links on Friday. Shin, who carded a two-under par 70 in the opening round, used a hybrid on the par three 14th hole to an ace from 171 yards. The 24-year-old suffered a double bogey on the 17th but still managed to keep her title bid intact, finishing at five-under par for the tournament ahead of the weekend. American Michelle Wie is yet to tee off on Friday after setting a clubhouse record eight-under-par 64 in the opening round.